Phil Jones and Fabian Delph have returned back to their clubs, after medical tests indicated that they had suffered minor knocks. 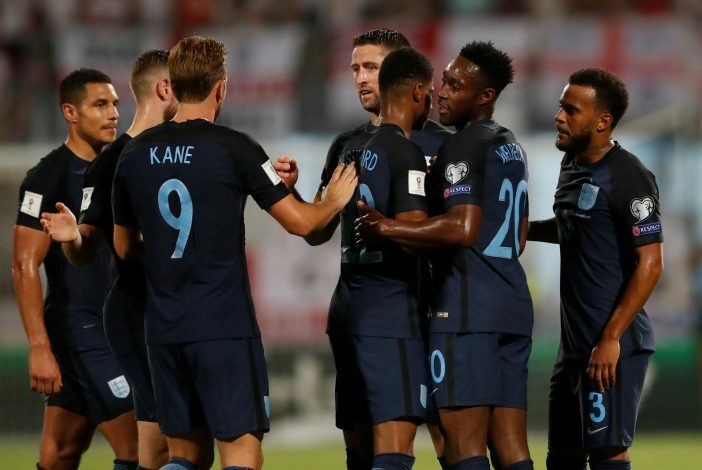 Both players, who play for cross town Manchester rivals United and City respectively, were called up to the England squad by Gareth Southgate for the upcoming World Cup qualifiers against Slovenia and Lithuania. However, they sat out the training session on Monday, and after a few more tests, the medical staff suggested it would be best for both players to return to their clubs and recover fully. Jones was a big doubt for the squad either way. Last week, Mourinho opted against taking him to Russia for the 4-1 win over CSKA Moscow, so as to allow him to recover from a niggling injury. The Englishman was a major doubt going into Saturday’s 4-0 demolition of Crystal Palace, and Jose Mourinho offered no positive news in his press-conference before the game. However, Jones ended up starting the match at Old Trafford, and played the entire 90 minutes alongside Chris Smalling, while showing no signs of pain. Meanwhile, Fabian Delph only recently returned from a long-term injury, and put up an impressive performance in City’s recent 5-0 win over Crystal Palace, capped by a wonder-goal. However, he too, is known for getting injured frequently, and the news that the FA have decided to send the pair home will be very worrying for the two rival clubs. Romelu Lukaku and Marouane Fellaini also sat out a Belgium training session recently, but boss Roberto Martinez has confirmed that the duo is fit, and that they have not withdrawn from the squad. United will be desperately hoping that Lukaku, who has scored 11 in 10 games since joining the club, will be fit for the upcoming blockbuster game against Liverpool at Anfield.